The National Art Gallery of The Bahamas (NAGB) is thrilled to announce that it will be a screening site for the 2018 Creative Time Summit, which is an annual convening for thinkers, dreamers, and doers working at the intersection of art and politics. Functioning as a roving platform, The Summit brings together artists, activists, and other thought leaders engaging with today’s most pressing issues. Presenting a critical range of perspectives, The Summit provides strategies for social change in local and global contexts. The Summit will be held in Miami for the first time this November 1-3, 2018. The NAGB is one of over a 100 screening sites around the world that will be hosting live events around this historic conference. Untitled (Children and Goat on Dirt Road), ca. 1901. William Henry Jackson, original glass plate print on archival paper, 11x14”. Image from the NAGB National Collection. 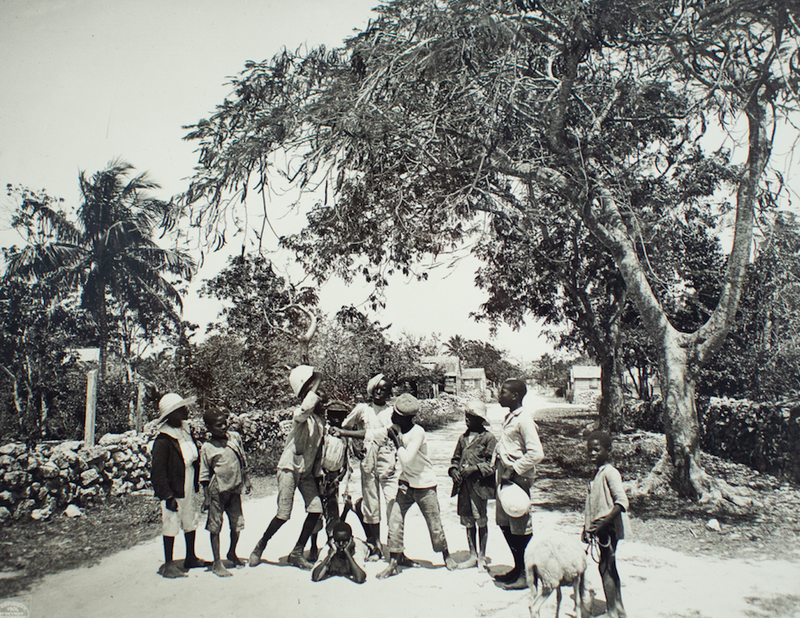 Titled “On Archipelagos and Other Imaginaries—Collective Strategies to Inhabit the World”, it takes coalition as a central theme, and utilises the archipelago as a framework to delve into Miami’s historical connection to the Caribbean and, by extension, to Latin America and the entire world. Over 80 speakers will engage with themes including immigration and borders, climate realities, notions of intersectional justice, gentrification, tourism as an enabler for neocolonialism, and the roles art and activism can play in all these pressing issues. This year’s speakers include Haitian-American author and MacArthur “Genius” Edwidge Danticat, philosopher Timothy Morton, writer Vijay Prashad, artist Zach Blas, curator Elvis Fuentes and Cuban-born artist Maria Magdalena Campos-Pons. Launched in New York City in 2009, the Creative Time Summit was the first major international platform for socially engaged art, and has since grown to encompass an expanded field – featuring a range of multidisciplinary practices from music to policy making. To date, the Summit has hosted over 10,000 live attendees and hundreds of luminaries on its stage, including legendary art critic Lucy Lippard, Academy Award winning filmmaker Laura Poitras, MacArthur “Genius” award winning contemporary artist Carrie Mae Weems, multidisciplinary Russian collective Chto Delat? (What is to be Done? ), #BlackLivesMatter co-founder Alicia Garza, renowned scholar, literary theorist, and feminist critic Gayatri Spivak. Our weekend of events around the summit begins with extended gallery hours and refreshments on Thursday, November 1st, from 5 p.m. - 7 p.m. showcasing the newest chapter of Lavar Munroe’s exhibition, entitled “Return: The Magic Flight” with never-before-seen work, and Jonathan Bethel’s Project Space Exhibition “Elemental”. This segues into the screening of the immensely powerful film “Get Out” directed by Jordan Peele, in Fiona’s Theatre at 7 p.m. with our new film programmer Travolta Cooper. The following day, Friday, November 2nd, sees the official beginning of the conference at 9:00 a.m., when the public is invited to congregate at the NAGB to listen to exciting streamed talks, performances, activations and on-site presentations by local professionals. Dr. Adelle Thomas, Joey Gaskins and Dr. Niambi Hall Campbell-Dean will speak to climate realities in small island states: privilege, exclusion and power at the intersection of gender, race and class; and reparations and restorative justice. The conversations will be moderated by Royann Dean with moments for healthy debate and discussion before and after lunch. 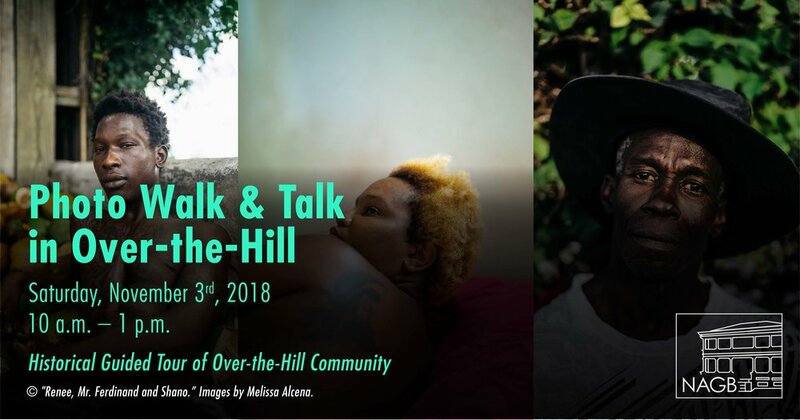 On Saturday, November 3rd, the final day of the conference, while breakout sessions and field trips are being held in Miami, we will host a one-of-a-kind experience in Nassau, inviting the public to join us on a Photo Walk and Talk around the Over-the-Hill communities with a guided tour. This vibrant and complex neighborhood has been classified both as the “Nation’s Navel” and the Historic Centre, while also referred to by some as the “inner city” and the tour will focus on issues of gentrification and sustainability. Joining us will be artists Angelika Wallace-Whitfield, Melissa Alcena, Jodi Minnis, Dr Ian Bethell-Bennett and Eric Rose, each of them bringing their expertise and unique vision to the tour, along with the knowledgeable and impassioned NAGB staff. All of these events are free and open to the public. To learn more and register for this important and relevant conference visit the NAGB’s website at nagb.org.bs.